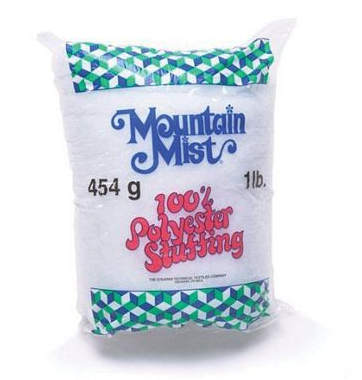 Mountain Mist FiberLoft will bring your creations to life and give them the benefits and safety of 100% polyester fiber. FiberLoft is the most popular, versatile fill, in that it can be fluffed and softened for a cushy, cuddly feel or packed to give a more firm feel. FiberLoft is made from the first quality 100% polyester fiber.